It is very difficult to choose a telling and tender marriage gift. Our team of professional photographers is ready to suggest you great wedding gift idea to make this special day more memorable and sweet. 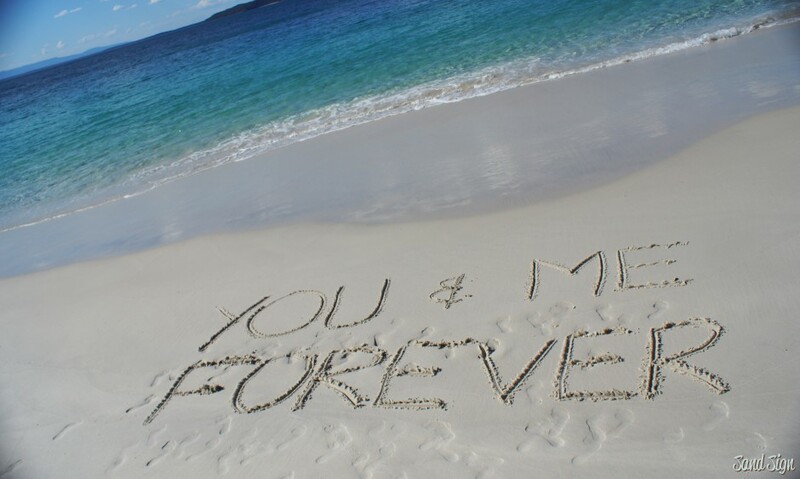 The best wedding gift is sand sign that our photographers will create with care for your special event. It will be amazing effective wedding gift that will be made with love and warmness. It will touch the soul of everyone and especially will make happy bride and groom. They can admire this gift long time. You can create personal congratulation and write your wishes for couple or just their names together. What can be more important for this sacramental evening than such a romantic wedding gift! This great sweet gift will be remembered for many years and will remind about wedding day! Our unique wedding gift idea will help you to make wedding day more special and memorable. With wishes of Happiness and Love!